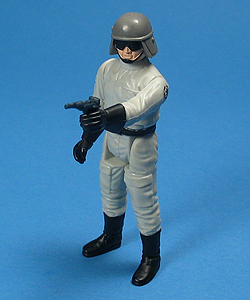 This figure first appeared on the Return Of The Jedi 77 back card. 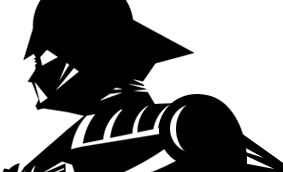 An alternate image was used on the Tri-Logo card back. Comments: Return Of The Jedi film making fact: Certainly most Star Wars Aficionados know that during production, Lucasfilm fooled the media by filming it under the bogus title ?Blue Harvest?, but many don?t know that the AT-ST Driver that got the most screen time was preformed by none other than the film?s (now deceased) director, Richard Marquand. Unfortunately, the figure was not based on his likeness. Major Variations: Though all vintage figures have minor variations, the AT-ST Driver has no known major variations.